Writing instruction has shifted in recent years to more accountability, taking the focus away from the writer. 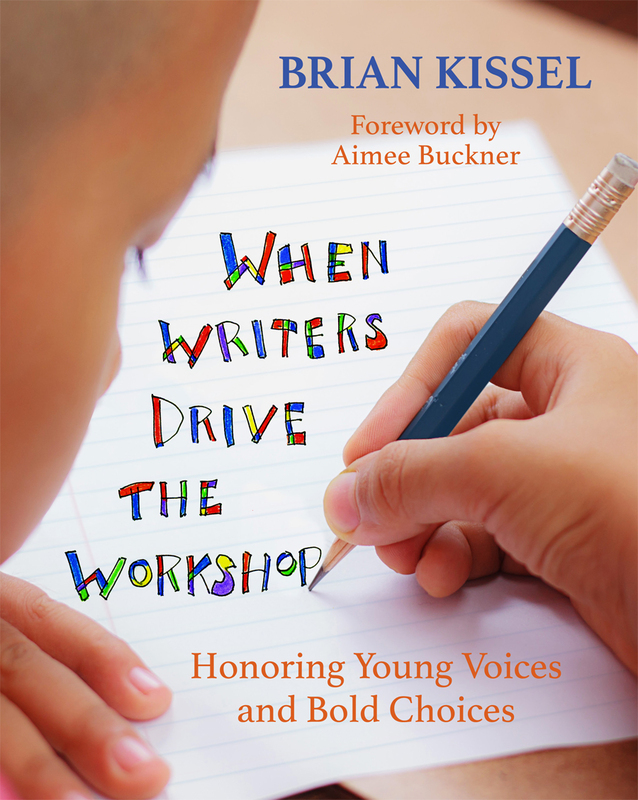 This book explores what happens when empowered writers direct the writing workshop. Through stories from real classrooms, Brian reveals that no matter where children come from, they all have the powerful, shared need to be heard. And when children choose their writing topics, their lives unfold onto the page and teachers are educated by the young voices and bold choices of these writers. Each of the chapters includes practical ideas, a section of Guiding Beliefs, a list of Frequently Asked Questions, and some Digital Diversions to help teachers see the digital possibilities in their classrooms. When Writers Drive the Workshop takes us back to the heart of Don Graves’s work, while nudging us into the digital world we live in today. Brian Kissel reminds us that it isn’t the standards, the assessments, or even the data that should be the major force driving our writing instruction. It’s students. In order to teach the writer, not the writing, you need to focus on the writer—the human child—in front of you. Brian Kissel, an educator for over twenty years, is a professor of Literacy and Elementary Education at the University of North Carolina at Charlotte. A former elementary school teacher and literacy coach, Brian teaches courses, conducts research, and provides professional development in writing instruction, digital literacy, and literacy development and instruction. Dr. Kissel lives in Davidson, North Carolina.